Training out of the academy her parents own, Boonchu in Australia, Parr never felt pressure to become a fighter–rather she pleaded for them to allow her to compete, despite that both her parents are veterans of the sport. Her mother is Angela Parr, former Muay Thai world champion that has competed with fighters such as former UFC champion Germaine de Randamie. 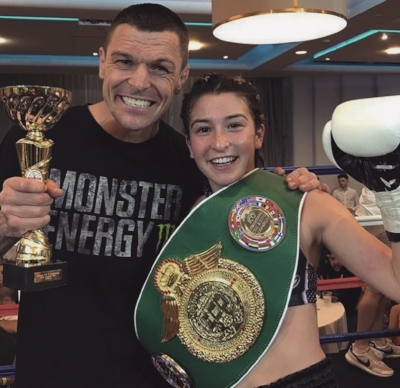 Her father, John Wayne Parr, has fought over hundreds of times and is now currently signed to Bellator Kickboxing. Muay Thai is a critical part of Jasmine’s life. Growing up in the gym and now spending much of her time training, she wouldn’t ask for anything different. The motivated young athlete would like to use her voice to change the recognition of women in the sport. She also believes that “Men and women both deserve to be known for their achievements, not for their comments to their opponents before a fight or the way they act.